Always fascinated with the variety of creative paths one can follow, we started to ask our collaborators, LYS owners, to share their experiences on our blog. Today, we introduce Barb Barone and Cynthia Hyslop, owners of River City Yarns. 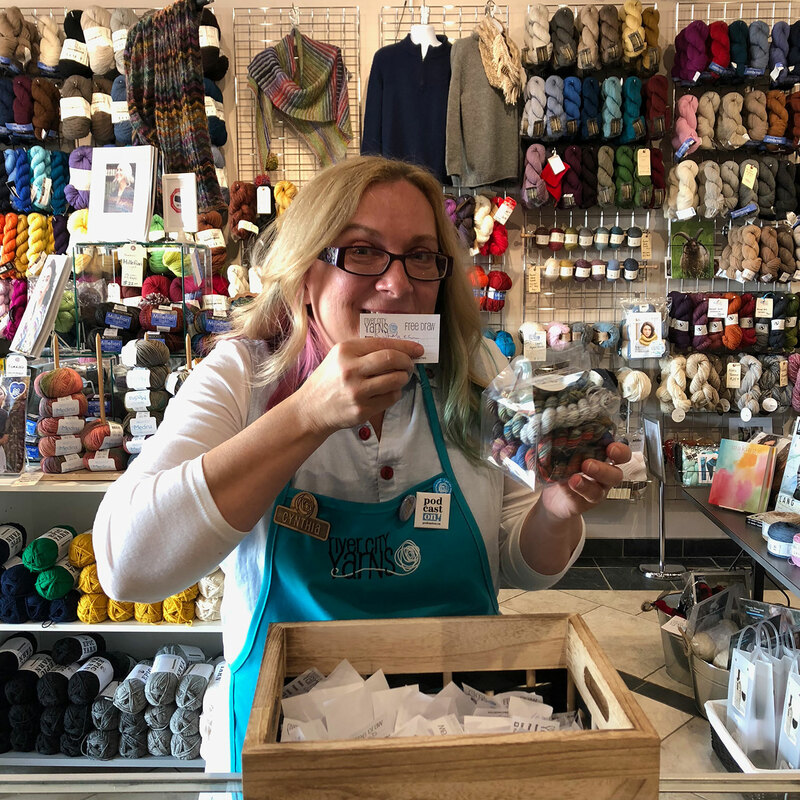 River City Yarns is Edmonton’s biggest local yarn shop, with great workshops and events, fantastic yarns and products and friendly, knowledgeable staff. We are proud to be part of their exclusive selection. How did River City Yarns come to be? River City Yarns came to be 16 years ago when Barb left the corporate world of telecommunications to pursue a more entrepreneurial life in retail sales. Soon after, Cynthia joined Barb as a partner in the company and began fulfilling her love for fiber arts and teaching. New knitters were welcomed warmly and became friends, loyal supporters, and staff members over time. River City Yarns became known for their friendly customer service, a great variety of yarns and fiber related products, fun social and community building events and knowledgeable staff able to provide professional advice and assistance with projects. How did the shop evolve since its opening? 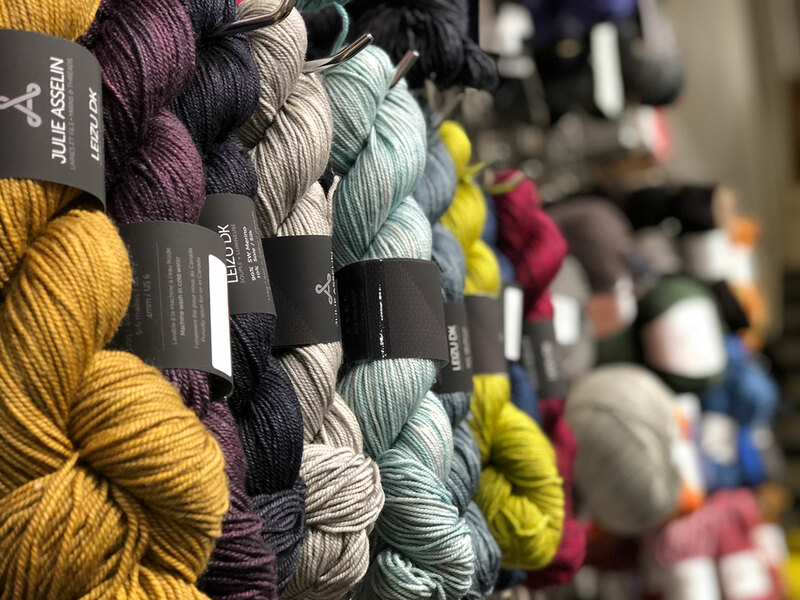 Over the years, River City Yarns expanded to two brick and mortar store locations in Edmonton and launched an online store. In 2013, we consolidated the two retail locations into one large store with plenty of parking, room for workshops, a large retail showroom and a spacious warehouse with dedicated space for our mail-order operation. We added more sales, warehouse and mail order staff and increased our complement of talented workshop instructors. What do you want to focus on in the future? We love promoting Canadian hand-dyed yarns and introducing our customers to the real people behind those yarns. We’ve had some unique opportunities to introduce our customers to dyers through our podcasts, pop-up shops, trunk shows, and workshops. We feel that we’ve been really lucky to be part of a business that connects people in so many ways. We want to continue to build our online store, to offer classes online and to maintain the conversations we have each month with our friends through our newsletters, YouTube channel and social media platforms. We’re going to focus on creating opportunities to “be part of a local yarn shop” for as many folks as we possibly can. For knitters wanting to visit your store, what are some of the best things to do and see in the area? Edmonton has everything! We have a world-class shopping mall, an NHL hockey team and a beautiful river valley with walking/biking trails. You can spend a day discovering art and history at our Art Gallery and at the Royal Alberta Museum. In the fairer seasons, we like to spend a day at Fort Edmonton Park and on cold days, we like to visit the Muttart Conservatory for some tropical warmth on a cold winter day. Come and visit our metropolis in the Prairies! We’d love to show you around. Once again this year, Ann Budd from Knit For Fun Retreats will partner with River City Yarns for the second Knit For Fun Retreat in Edmonton, Canada. Ann Budd will be bringing very special guests with her, for a weekend of classes, camaraderie, and relaxation October 25 to 28th. River City Yarns has put together a fantastic selection for the marketplace, including sweater quantities of Nurtured and Nurtured Fine. Wishing all those attending a wonderful time! Follow River City Yarns’ wooly adventures on Facebook, Instagram & Youtube.